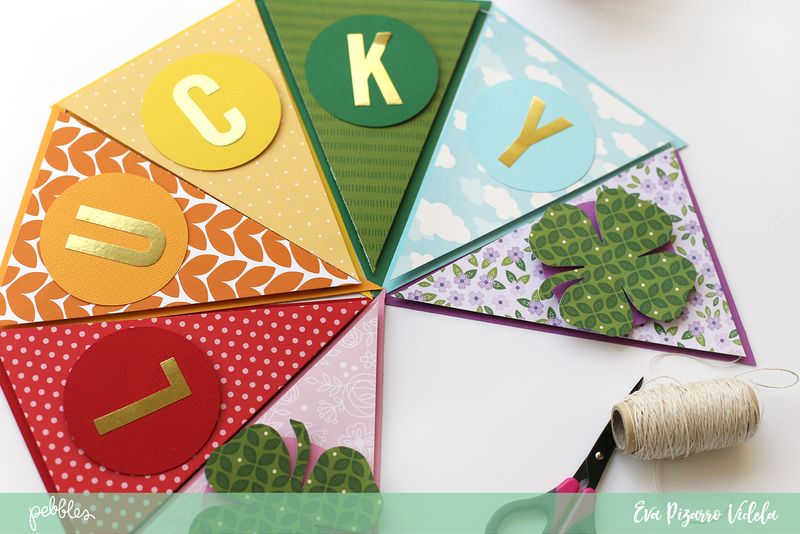 St Patrick's Day Banner - Pebbles, Inc.
Hello Pebbles’ fans! Welcome to our blog! It’s Eva Pizarro here today sharing with you a quick St Patrick’s Day decoration for your home. When I think about this celebration I immediately think about the rainbow, so i thought I could make a rainbow banner that I could easily use it all year in my house. 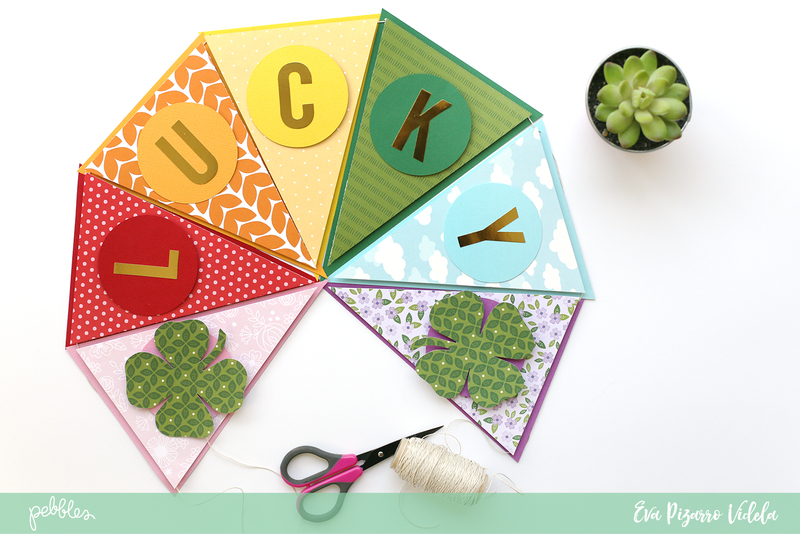 To make the banner I used some American Crafts cardstock, some Tealightful patterned papers and my Banner Punch Board. 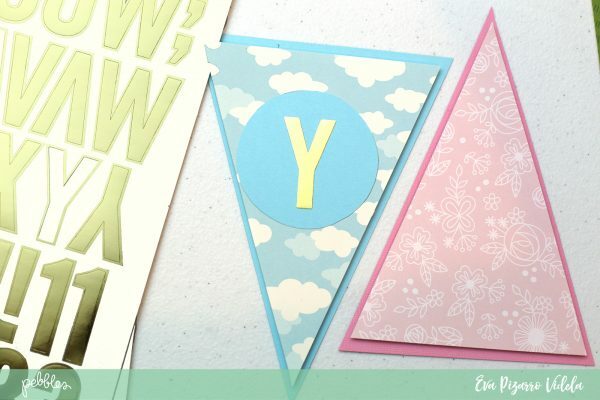 Cut your paper 7 inch tall and make the banner with your board. It’s really easy! 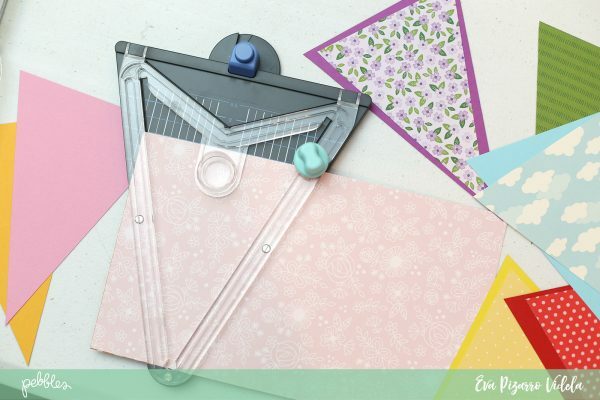 you can also cut two or three papers together to make it quicker. Next, cut some carstock banner slightly larger, 7,5 inch tall. I assemble the banners with dimensional foam and placed 3 inch wide circles with my letters on top using some masking tape. I used this trick because I wanted to be able to use the banner all year long, after this holiday simply remove the circles and voila! 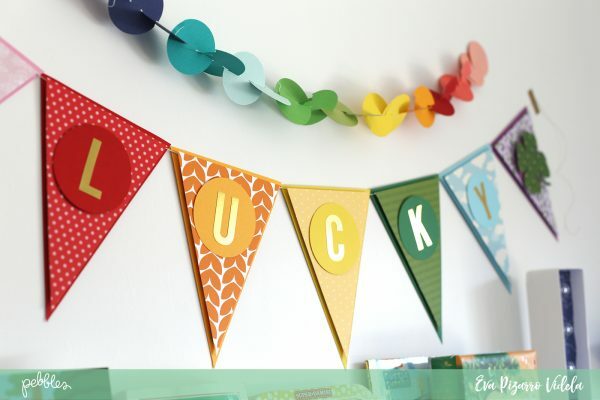 you have a rainbow banner that you can use in every occasion. 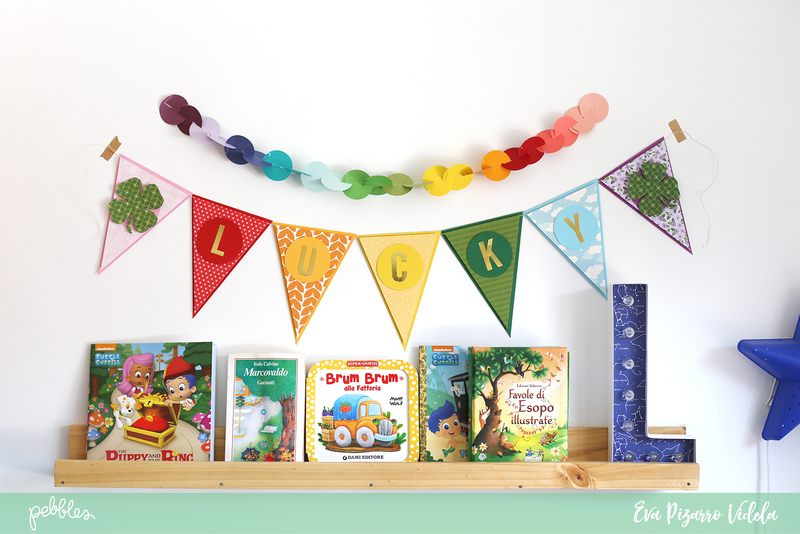 I also added some good luck clovers to the side of my banner. To hang it make some small holes using your board or your Crop a Dile and use hem twine to hold all the pieces together. That’s it! a really quick project that can really brighten these winter days. 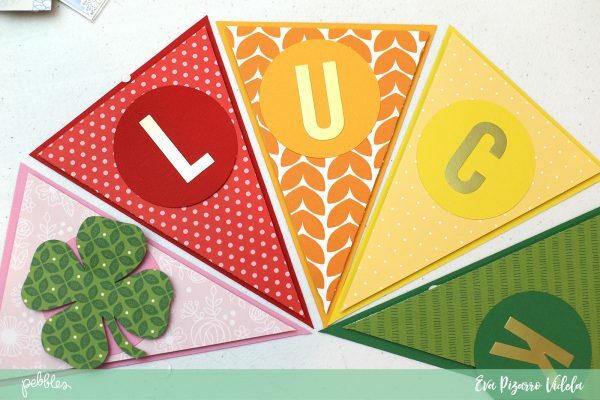 Do you love to give a little something during St Patrick’s day? 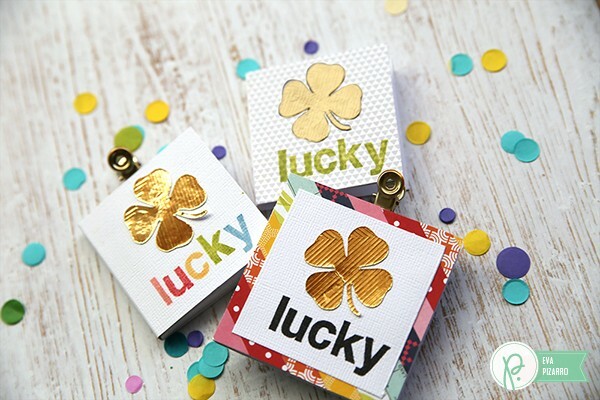 Don’t miss these cute mini cards with a treat I made last year!